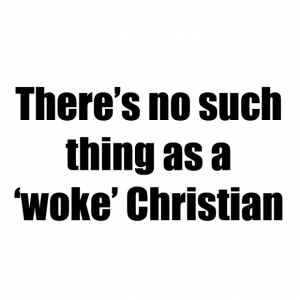 You are here: Home / Christian Talk / Who’s Really Woke. (ThyBlackMan.com) Every few weeks I get invited to join a pro black Facebook group. These groups tend to be populated with passionate brothers and sisters who use the larger platform to share their perspectives on the continued effects of colonialism, structural racism, and patriarchy on the black community. The best groups I’ve seen have been saturated with positive messages that hinge on unity, economic empowerment, and black pride. At their best, these groups are a source of daily affirmations for people in the struggle. One negative many of these groups have in common is their almost universal disdain for the black church. There are large blocks of the “new” conscious community who don’t view Christians as allies in the fight for social justice. I always advise young Christian activists to accept the fact that they share struggles with people who view their religion as truncated at best, or a fundamental part of the black community’s underlying problems at worst. When Christians are confronted by nonbelievers skeptical of our commitment to fighting systemic racism we have to listen to their critiques and take them seriously. This doesn’t mean you spend all of your time and energy defending the church or explaining your personal journey of faith, but you should engage your allies’ conceptions and likely misconceptions about both. How you answer the inevitable “slave master’s religion question” and how you talk about “Prosperity Gospel” can be the difference between deconstructing the image of the church versus involuntarily taking part in its destruction. The church has always been judged by the actions of its most visible representatives. When television cameras where pointed at the likes of Dr. King, Reverend Ralph Abernathy, and Reverend Wyatt T. Walker the perception of the church was different. These men weren’t perfect and their accomplishments didn’t negate the transgressions committed by the church during the height of their ministries, but their witness helped shape the way a generation of people viewed the church. Social media has enabled those trying to destroy the black church to reduce it to easily shareable memes about Creflo Dollar, the deceased Bishop Eddie Long, and the black pastors who supported Donald Trump. It doesn’t matter how “woke” or active Christians with small platforms are their efforts are invisible to those who view the church through the lens of social media. The silence from mega church pastors about issues important to the black community plays into the myth of a dead church. The fact that one has to do a Google search to find a statement, tweet, or sermon from some of the biggest names in Prosperity Gospel about police brutality or the resurgence of white nationalism is telling. The black church, like the black community, is indicted as a whole for the actions of the minority. Many of the same people fighting against police racial profiling of black people don’t see the hypocrisy associated with their religious profiling of black people. The anti-Christian sentiment inside the conscious community is more complicated than social media posts and public positions taken by prominent church figures. The black community isn’t monolithic. We share similar struggles, but we don’t share similar thought processes and beliefs. Too often we seek validation in ourselves, and our beliefs, through in-group out-group distinctions that elevate one segment of our community above another. Too many Christians are judgmental and condemning of people who don’t share their beliefs, and too many in the conscious community are condescending and intolerant towards Christians. Instead of us unifying behind the commonality of our struggles we created an artificial hierarchy that doesn’t have any impact on the societal structures we’re fighting. Institutional racism doesn’t care who’s woke and who isn’t. The criminal justice system doesn’t care if you’re a Christian or an atheist. We’re in this together and we need to act like it. As an ordained member of the clergy I admit that there are churches in need of some serious reform, but isn’t it easier to clean a house than build one? The conscious community talks about building institutions and strengthening our communities, but wouldn’t this be easier with a healthy church in place? We are the freest generation of African-Americans to live in this country, and much of that freedom was paid for by men and women who believed in Jesus. I’ve studied theology and philosophy for over a decade. I understand some of the Ontological arguments for and against the existence of a higher being better than most of the people making them, but I’ve yet to hear a compelling argument for why it’s necessary to diminish the religious beliefs of Christians. Many of the same people who were introduced to Nat Turner through Birth of a Nation are hell bent on destroying the institution that woke him up. I shudder when I think about how many people in the conscious community who didn’t know the name Denmark Vesey before Dylan Roof murdered nine innocent Christians in his church. The theologian Howard Thurman said, “By some amazing but vastly creative spiritual insight the slave undertook the redemption of a religion that the master had profaned in his midst.” Thurman was deeply affected by the dehumanizing evil of racism and was acutely aware of how much damage the institution of slavery did to Christianity, yet he was able to connect to the emancipatory message abolitionists pastors and believers found in the teachings of Jesus. Revolutionary Christians have always rejected the notion that slavery was ordained by God. Believers in the 21st century should attempt to redeem Christianity from the profane uses of the gospel in our time. The legacy of the black church is worth protecting from attacks both foreign and domestic.